WHICH TYPE OF ROOFING SERVICE IS NEEDED? There is no such thing as “One size fits all” when it comes to roofing service. Materials, Weather, Over-hanging trees. These should each be considered when deciding on the best fit! Your roof is an investment and making an informed decision will benefit you for years to come! Be sure that your roofing company is correctly licensed, certified and bonded. This will help to protect you from any liabilities or damages, while contractors work on your roof. You should always receive an estimate before a Contractor begins any roofing project. The estimate should include material needed, the scope of work, rates and fees for the project. A qualified and professional roofing contractor is willing to explain the estimate as well as their findings during the inspection of your roof. Click Here to contact us and receive your free estimate. A good roofer should have professional associations such as, a local Better Business Bureau. To confirm our A+ rating, Click Here. Find out what experience your roofing company has. We have been serving the entire CSRA for well over 32 years and can provide both, commercial and residential roofing service. 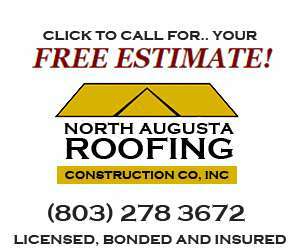 Our reputation has helped us to become a trusted name for affordable roofing service throughout the Augusta area. Many of your neighbor’s houses have suffered hail damage, your home may have hail damage too! We work with insurance companies to get a customers’ roofs replaced at minimal or no cost to them! 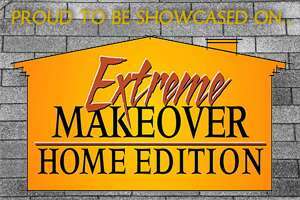 We are also, Signature Select Contractors for Atlas Brand Roofing, GAF and we are a preferred contractor for Owens Corning Brand Roofing. The roof is the most important component of a home as it protects you and your family from the elements. The 2 most common roofing materials used are shingles and metal. We will help you decide which materials are right for your home or business. and is resistant to UV rays and hurricane force winds. Why a New Roof is Affordable!